In 2013 graduate students from South Dakota State University traveled to Atlanta, Georgia to compete in the International Food and Agribusiness Management Association’s annual case study competition. The students attending the trip were like most students, unaware of their own potential and a bit naïve with regards to the industry presence at the conference. South Dakota State University’s Economics department has majors in Economics, Business Economics, Agribusiness, and Resource Economics; making an annual trip to the IFAMA world conference a logical travel experience. The case study competition, along with the academic and industry presence make the conference a vital component of the students’ curriculum. Luckily, our students made a specific connection in 2013 that has strengthened South Dakota State’s involvement with IFAMA, and the title Sponsor, CHS. 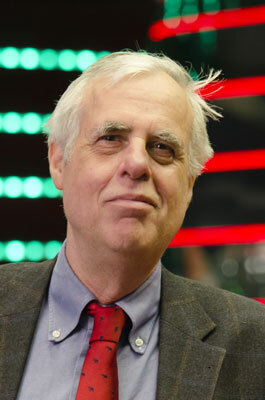 That connection was started by William Nelson. Mr. Nelson’s enthusiasm for student engagement is contagious. His questions and conversation with our students heightened their awareness of the potential their training in economics, business, and agriculture provided them for the future, even if they were from a small rural town in South Dakota. Our students gained confidence, as many of them remarked that while South Dakota has a small population, it is in the center of the Agribusiness Universe. CHS’s support of the conference has allowed SDSU students to be able to attend the conference each year since. Through the generosity of the company, our students are now able to experience a truly unique conference every year, no matter the location. This year the conference has added an undergraduate section to the case competition. The timing of this change is serendipitous as SDSU has made experiential learning and travel an immediate priority. With this in mind a travel course was been created with attendance of the conference and Case Study Competition participation a cornerstone of the course and the trip. At present time four undergraduate students and five graduate students are slated to participate. With the help of CHS the trip is financially feasible, even for graduate students living off ramen noodle. The exciting part of the trip for most of the students is the ability to travel internationally and apply what they’ve learned in 3+ years At SDSU. The 3 credit hour course has even been beneficial for the faculty members involved as well, two of which of have limited experience with Europe. Over the course of the spring, we have all learned about the history of the European Union, agribusiness in the region and more. The students have been giving reports on various topics much in the manner they will give their case study presentations, gaining confidence in their knowledge, the ability to apply their knowledge, and speaking in front of a group. The IFAMA World Conference is an incredible experience for our students to learn how small the world has become, but also how much potential there is in the agribusiness sector of the economy. Through the encouragement of CHS, William Nelson, our department head Dr. Eluned Jones, and the involved faculty, our students will be rewarded with the privilege of conference attendance this year, and many years to come. Join us at the conference, June 19-23, 2016 in Aarhus, Denmark. Details are online at http://www.ifama.org or http://www.ifamaeurope.org. As commodity prices soared from 2008 to 2012, global concerns mounted that the expanding population and rapid economic growth were out stripping our capacity to feed the world as it heads for nine billion in 2050. Now, prices have fallen – in some cases by as much as 50 percent. “A New Paradigm for Global Agriculture Commodity Markets?” explains why both the demand and supply sides suggest long-run price levels are likely to average only modestly above those of the pre-boom period. Demand-side growth is slowing: After increasing by an average of 2.2% between 1970 and 2007, global annual growth in food demand is projected to ease to 1.4% between 2007 and 2030 and to 0.8% between 2030 and 2050. Causes include slower population growth; an increase in the elderly population, who tend to consume less food; and an increasing share of the global population whose diets have reached the saturation level and from whom no significant increase in food demand can be expected. Global supply potentials are higher than many estimate. We still have massive untapped yield potentials. For example, average wheat yields average 40% of the agronomic potential. Also, land is not in short supply globally: About 1.7 billion acres or 700 million hectares of arable land are still available, without touching the rain forest or other ecologically sensitive areas. Cost of production and transport are the deciding factors. Globally, it is cost of production of the marginal producer that counts – that is, the producer who represents the production system or site with the highest cost of production, who contributes the last unit of output on the global supply schedule needed to match supply and demand. Further, it is the cost at a port that serves global markets that matters. A few factors might suggest a higher cost of production as new land is brought into production: It may be lower yielding, for instance. Data from agri benchmark farms indicate low-yielding wheat farms – which account for as much as 80% of global trade – have direct production costs of about $25/ton above high-yield farms. However, in some cases, mechanization and economy of scale compensate. In addition, recent agricultural growth has been in countries where natural conditions for arable production and good yields are excellent—Argentina, Brazil, Mozambique, Angola, and Myanmar, to name just a few. Some believe adoption of more intensive production practices increases cost of production. Data from agri benchmark farms from all different intensity levels globally do not support that view. We found absolutely no correlation between use of nitrogen fertilizer or crop production products as proxies for input intensity and direct cost, operating cost, or total cost of production per ton. The possible reason for this: In the long run, farmers not only use more fertilizers but modify the entire production system, using better seed, higher plant population, etc. ; i.e., they move to a more efficient production function. Hence, the hypothesis that intensification’s effects on cost of production are the cause for a strong increase in prices is unfounded. Finally, some believe that higher oil and fertilizer prices led to higher cost of production and hence higher commodity prices. agri benchmark figures from 23 typical farms from all major wheat-producing countries, from 2008-2012, when crude oil prices were near $100/barrel, suggest that the increase in energy and nitrogen prices (which are energy-price driven as well) led to a fairly modest $25-$35/ton higher production costs compared with the pre-2008 period. Of course energy and nitrogen prices have fallen dramatically more recently. On the other hand, new lands’ longer distances to export harbors and less developed infrastructure mean free on board (f.o.b.) costs inevitably rise. A case study from Brazil suggests this increase could be in the range of $30/ton. Land rent may absorb some of these increases in cost of production. As the current United States case illustrates, when farm profit margins tighten, land rents and values adjust downward. Figures from two Brazilian agri benchmark farms with similar yields support the view that higher transport costs are reflected in lower land rent: A farm in Parana is relatively close—435 miles (700 km)—to the port at Santos and rent is about $89/acre ($220/ha); one in Mato Grosso is about 1,367 miles (2,200 km) and land rents there are about $57/acre ($140/ha). The bottom line. Assuming long-run increases in costs of $65/ton, and assuming only about half this increase is compensated by reduced land rents, $180/metric ton might be a reasonable estimate for long-term wheat prices; corresponding corn prices can be assumed in the range of $140/metric ton. That is well below the extreme scenario of $270/ton wheat some have portrayed. And, of course, if crude oil prices stay at or below $60/barrel, the long-term price level would be at least $10/ton lower. This is not to say supply-side shocks have no effect. During the recent price boom, yields in the United States were below trend for several years, and the major drought in 2012 resulted in very tight supplies. However, as we have seen, stocks have rebuilt rapidly and prices have adjusted accordingly. We conclude that long-run equilibrium prices might be modestly, but not dramatically, above pre-boom prices and also dramatically lower than some forecasting institutions have suggested. *agri benchmark is a global, nonprofit network of agricultural economists, advisors, producers and specialists in key sectors of the value chains who use internationally standardized methods to analyze farms, production systems and their profitability. The IFAMA Distinguished Service Award was presented to one of its founding fathers, Dr. Ray Goldberg for a lifetime of pioneering contributions to the field of agribusiness. We presented Dr. Goldberg with the award at the 25th Annual World Conference President’s Award Dinner in Saint Paul, Minnesota. 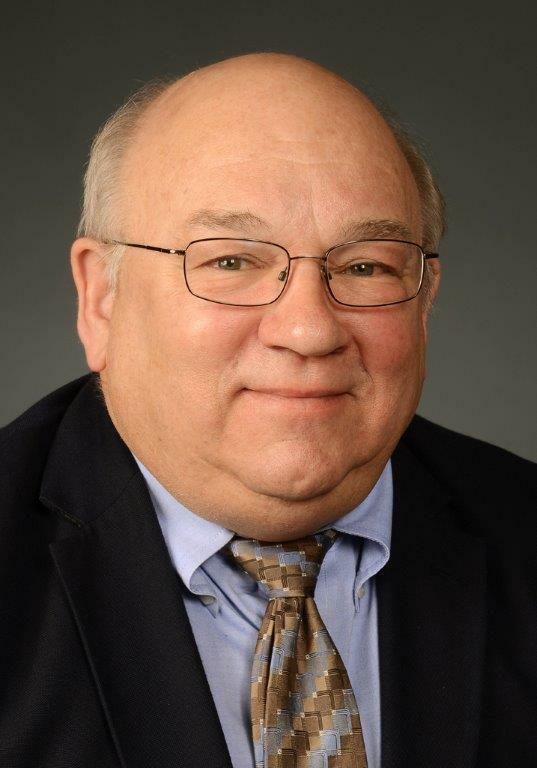 The IFAMA Distinguished Service Award honors an individual whose pioneering contributions have made significant, transformational impacts to the global food and agribusiness system. Through his acceptance speech, Dr. Goldberg talked about the effect of how collective support can encompass more people, discipline, non-profit and private sectors, and consumer activists to acknowledge the economic struggle in the food system. By cooperating with AAEA (American Agriculutral Economics Association) we will be able to provide security, sustainability, and manage water and land resources effectively. Dr. Ray Goldberg not only evoked the audience with a profound message valuing the chain of food production and consumption in the world but also drew awareness to the global food and agribusiness system impact. IFAMA is delighted to recognize an honorable man whom not only showed the strength of a vigorous hard-working individual but one that evoked a heartfelt passion for helping the millions of people who get left behind in the food system today. Let him be a reminder, that even in today’s society with our advancing technology, we can too make a difference and excel to work towards Food Security in 2050. IFAMA is governed by a Board of Directors and an Executive Committee. Its officers include a President, President Elect, and Past President. The association’s programs and activities are administered by the IFAMA Business Office in Washington, DC. The IFAMA Board of Directors convened at the 2015 Annual Conference in Saint Paul, Minnesota, where four new members were nominated and elected to the Board. 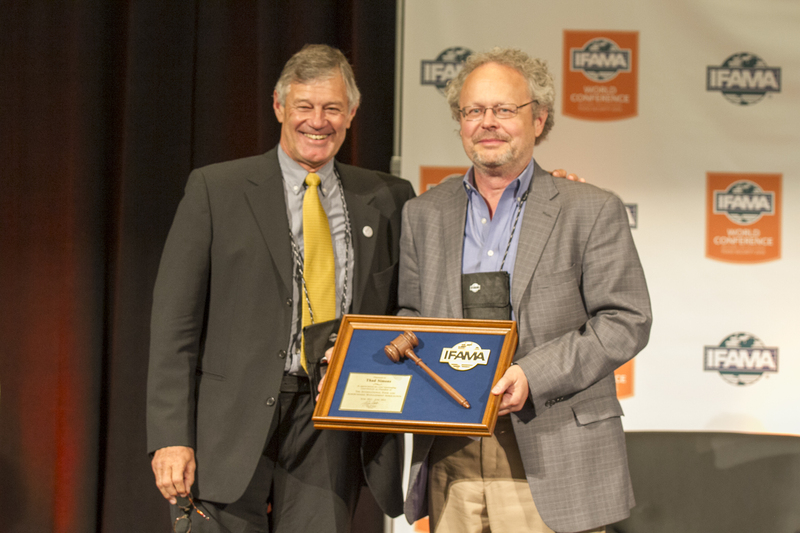 At the Closing Session on the last day of the conference, Thad Simons, 2015 IFAMA Board President, passed the torch to the new 2016 IFAMA Board President, Johan von Rooyen. Thank you to Thad Simons for your work during your term as IFAMA Board President. Kenneth Zuckerberg, Rabobank Food & Agribusiness Research and Advisory Executive Director, speaks about the role of big data in agriculture at IFAMA 2015 World Conference. I am delighted to announce exciting organizational changes and a brand new initiative for IFAMA in 2015. We have embarked on a new partnership with the Global Business School Network (GBSN), a nonprofit that works to improve management education for the developing world. As of January 1, IFAMA operations are embedded with the staff at GBSN. Page Buchanan – IFAMA’s new Director of Operations, Dale Baker – Program Officer, and Nicole Zefran – Administrative Coordinator, are working closely with the IFAMA Board of Directors and IFAMR Administrative Editor, Kathryn White to plan a dynamic and innovative program for the coming year. initiative, a three-year effort to address major issues our global community faces in providing food security for the estimated 9 billion people that will inhabit the planet by 2050. IFAMA’s core mission remains to unite industry, students, academics, government leaders and other key stakeholders across the value chain of food production and consumption to improve the global food and agribusiness system in response to the changing needs of the world. Become the Solution: Food Security 2050will use the IFAMA platform to address the intersecting issues of People, Climate and Big Data in achieving food security in the developed and developing world. Become the Solution: Food Security 2050 will officially launch at our 25th Annual IFAMA World Conference in St. Paul, Minnesota June 14 – 17, 2015. I look forward to the important conversations we will have there about how industry, academia and future leaders in the food and agribusiness sector will tackle the challenges ahead. Our goal is to make IFAMA an organization that engages and serves its members year-round. The new IFAMA team is based in the GBSN offices in Washington, DC. The IFAMA phone number will remain +1-202-429-1610 and you can use it to reach Page, Dale and Nicole directly, or feel free to email them at the addresses listed below. Kathryn White remains the key contact for the Symposium and Student Case Competition for the 2015 World Conference, and will continue her work managing and growing the IFAMA journal, The International Food and Agribusinesss Management Review. Kathryn can still be reached at mkwhite@ifama.org. You may have already noticed a new energy in our social media channels, which will be a key conduit for communicating with you throughout the year. I encourage you tofind us on Twitter, Facebook and LinkedIn for updates on the 25th Annual IFAMA World Conference, as well as the food and agribusiness management sector and member activities. Our goal in making these changes is to increase our programs, services and support for you. Please don’t hesitate to reach out and let us know how we can serve you better. Stay tuned for more information coming soon on the 25th Annual IFAMA World Conference plans and much more. It’s going to be a great year for IFAMA! CHS announces its commitment to furthering agricultural education through a gift of $225,000 dollars, to be given over the next 3 years to the International Food and Agribusiness Management Association (IFAMA). A portion of the CHS donation is earmarked as the sole sponsor for the IFAMA International Student Case Competition. The competition is the only international case competition of its kind offering students a rare international venue to demonstrate their analytical and problem solving skills before a panel of senior management judges. The competition provides universities an opportunity to showcase the next generation of business leaders in the food and agribusiness sector in front of a global audience. The International Food and Agribusiness Management Association (IFAMA). The 2015 Agribusiness & Food World Forum will focus on Innovation, Talent and Technology. Hosted June 14-18, 2015, in Minneapolis-St.Paul, the overarching framework for the Forum is People Feed the World. Interactive discussions and presentations will engage students, academic, government and business leaders and focus on the common and binding factor of the human talent and potential to achieve global nutritional security. IFAMA is an international management organization based in Washington, D.C. that brings together current and future business, academic and government leaders along with other industry stakeholders to improve the strategic focus, transparency, sustainability and responsiveness of the global food and agribusiness system. IFAMA has over 700 members in more than 50 countries, and serves as an effective worldwide networking organization, bridging the agribusiness industry, researchers, educators, government, consumer groups and non-governmental organizations. Today, the International Food and Agribusiness Management Association (IFAMA) pledged its commitment to ‘The Declaration of Abu Dhabi for Global Food Security through Good Agricultural Practices,’ an innovative private-public collaboration for safe and sustainable agriculture. Initiated by GLOBALG.A.P., SAI Platform and the International Trade Centre (ITC), The Declaration of Abu Dhabi brings together major market players in the food industry to identify, align and implement practical and viable solutions in response to growing global food security and safety challenges. The initiative is an open call for global collaboration to find new approaches that will make it easier, more cost effective, and more attractive for farmers worldwide to adopt safe and sustainable production practices. This will make markets more accessible for farmers, and help them sustain their livelihoods as well as reduce poverty and malnutrition. By joining The Declaration of Abu Dhabi, the signatories pledge to develop solutions that will help raise agricultural productivity. It will help ensure food safety and quality, and the sustainability of natural resources without compromising biodiversity and ecosystems. The Abu Dhabi Set of Good Agricultural Practices – builds upon established and ongoing work in all aspects of good agriculture and aquaculture practices, including food safety, environmental sustainability, and social responsibility. The set of practices will draw upon existing standards and assessment tools and will serve as a consistent language for sustainability criteria, applicable to farms of all sizes worldwide. The collaboration will establish a system for uniquely identifying every farm, and ensuring a public reporting mechanism for supply chains. The Abu Dhabi Set of Good Agricultural Practices and the unique farm identification and reporting mechanism, will serve as a foundation upon which diverse training, assessment and verification programs may be adapted and built, and impacts may be measured. IFAMA will sign the Declaration and participate in the inaugural signatories meeting during a formal launch event in Abu Dhabi, UAE, on 28-29 October 2014. The event will be held in conjunction with the GLOBALG.A.P. SUMMIT 2014 which is under the Patronage of H.H. Sheikh Mansour Bin Zayed Al-Nahyan, Deputy Prime Minister of UAE, Minister of Presidential Affairs and Chairman of Abu Dhabi Food Control Authority. A website has been launched to provide information and details about The Declaration of Abu Dhabi. To learn more, please visit www.declaration-of-abu-dhabi.org.